Rich Tyburski will direct overall business and growth strategies. IsoSciences, LLC, King of Prussia, PA., is pleased to announce Rich Tyburski has been named the new President of IsoSciences. Rich joined IsoSciences in 2007, and is now directing the company’s business, overseeing R&D, operations, custom synthesis, and the development and production of over 1,000 novel catalog offerings for the clinical diagnostics and pharmaceutical markets. Rich has worked with diagnostic, nutritional, pharmaceutical and government laboratories around the world to produce the highest quality products available at IsoSciences. “Rich is a proven leader for IsoSciences in the areas of strategy, new business development opportunities, and developing key strategic relationships across the industry. In addition, his leadership and technology experience, along with his passion for our business and customers have enabled the company’s growth over the years,” stated Carrington Smith, the CEO of MPD Chemicals, which is the parent company of IsoSciences. “IsoSciences is a key manufacturer for stable isotope labeled materials, addressing the market need for stable isotope labeled reference compounds, advanced intermediates, final drug substances and metabolites. IsoSciences has ensured customer requirements are met by using advanced processes and stringent quality specifications. As a former synthetic and QC chemist at IsoSciences, Rich has had extensive hands-on experience in analytics and ISO9001 Quality System implementation as well,” commented Carrington. Prior to his role as President, Rich was Vice President of Business Development, demonstrating success in building the IsoSciences core business of product and process development from small-scale to large-scale applications. 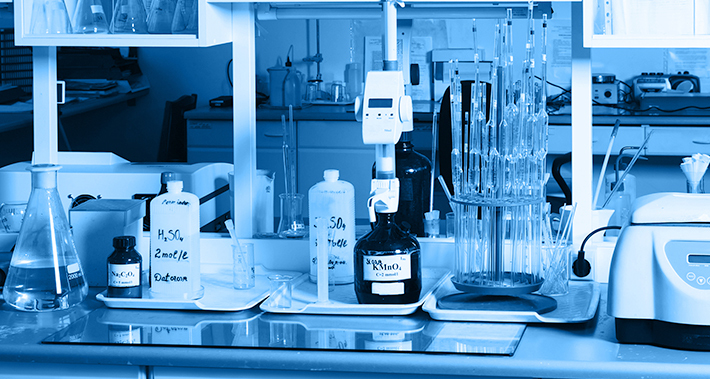 IsoSciences specializes in the production of isotopically labeled internal standards for mass spec analysis. Previously, Rich worked at Quest Pharmaceutical Services as a Staff Scientist specializing in LC-MS/MS GLP bio-equivalency studies. Rich obtained his bachelor’s degree in chemistry from Villanova University. If you would have questions in reference to this announcement, please contact Rich Tyburski, President of IsoSciences via email at Rich.Tyburski@isosciences.com. IsoSciences, an MPD Chemicals company, is a leading supplier of stable isotope labeled vitamins, steroids, drug substances, metabolites and custom synthesis solutions. IsoSciences was founded in 2002, to fulfill the market needs for stable label isotopes of advanced intermediates and final drug substances. In addition, IsoSciences provides advanced new products that address the industry demands of the expanding LC-MS/MS market and the growing needs for isotopically labeled internal standards. IsoSciences has developed numerous novel catalog offerings for the clinical diagnostics and pharmaceutical markets. Further, IsoSciences specializes in offering custom synthesis solutions for complex organic chemistry challenges, often involving isotopic labeling steps. IsoSciences is ISO9001 certified with extensive quality control and analytical capabilities. Additional capabilities include exact concentration solutions, along with a diverse catalog of compounds used in food, vitamin, steroid, hormone and diagnostic testing.